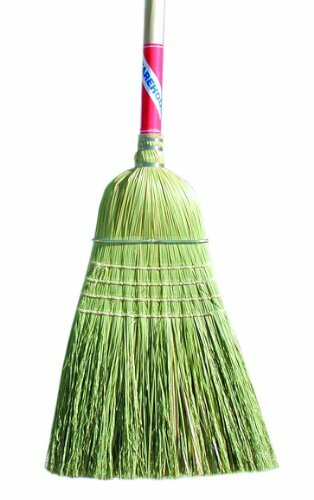 Magnolia Brush heavy-duty contractors broom is made of best quality selected broom corn with Palmyra stalk center. Sewed 4 times and reinforced with a wire band. Made on a 1-1/8-inches diameter clear-lacquered handle. This broom is ideal for use in the construction trade for sweeping moderate to heavy debris.